Get your FREE 30 Day Visibility Challenge in this post! Are you clear about your goal? Just throwing things at the wall and hoping they stick isn’t a plan. You need a content marketing strategy that clearly outlines why you’re creating content, for whom, and how it’s intended to help the reader. Have your bigger picture in mind before you write so you can be certain your topic is serving the overarching goals. Believe it or not, your blog isn’t all about you or your business. It’s about your reader (who should be your client/customer). Why should they care about what you’re writing? Your content needs to speak to and benefit the reader. Always. Always include a call to action with any blog post. Whether you finish by asking a question to encourage comments, direct readers to another post on the site for more information, or provide a freebie in exchange for an email address, end your post with a way readers can take an action. Blogging doesn’t have to be a guessing game. 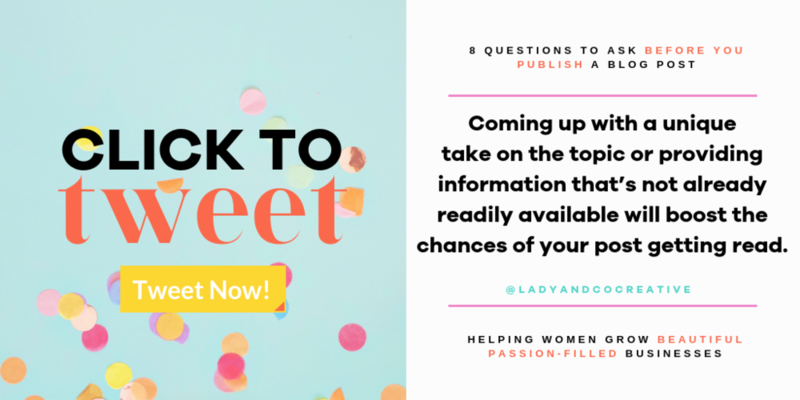 Asking these eight questions every time you write a blog post will help you win readers and, eventually, clients. Ready to get confident and get noticed? Download the 30 Day Visibility Challenge! Download the 30 Day Visibility Challenge now! Becky Mollenkamp offers personal and professional development for experienced women business owners. Through coaching, courses, an exclusive membership community, Becky helps women to own and crush their boss status. 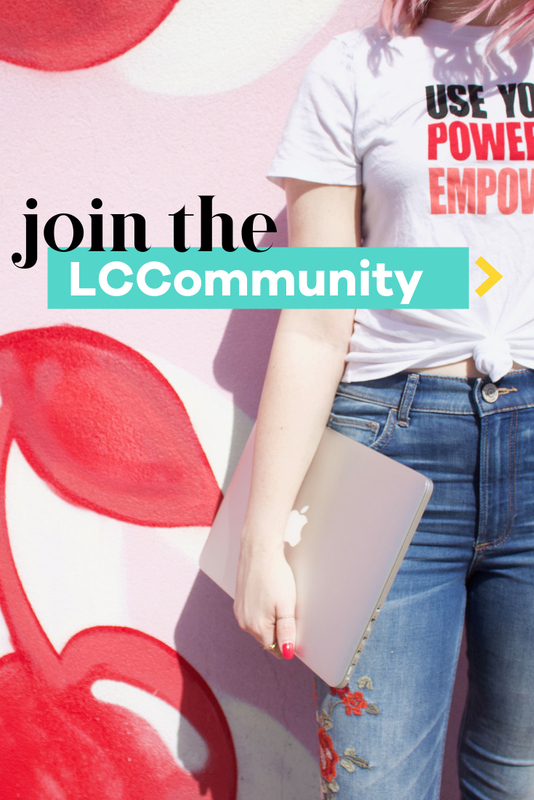 Want to be featured on the LCC blog just like Becky? Apply Now! Download the FREE 30 Day Visibility Challenge now!